Sony Ericsson is set to bring out three new Android phones in the first half of 2011, a source close to the matter has told TechRadar. The first is (obviously) set to be the mooted PSP Phone, currently still running internally under the Zeus codename and likely to be part of the Xperia family. The next two will be refreshes of phones in the existing line up, as Sony Ericsson looks to build on its fledgling Android renaissance. 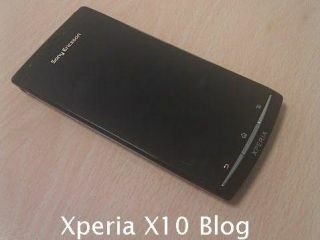 The Anzu is set to be the refresh of the Sony Ericsson Xperia X10, and will also be running Android. It's not the first time we've heard of such a phone - a month ago the Sony Ericsson Anzu was mentioned as a 12MP device with a very slim form factor and a 4.3-inch screen. This will be landing in the UK alongside the Hallon, a name that's been thrown around the internet for a while as a possible Sony Ericsson handset. The Sony Ericsson Vivaz was one of the last handsets from the company running Symbian, and it's no secret SE wants to keep the form factor alive, and this is highly likely to get an Android reboot as the Hallon. The exact Android version the phones will be released with is still to be decided, but it looks increasingly likely Android 2.3 will be used (although Sony Ericsson hardly has a reputation for keeping its handsets up to date). Our source couldn't confirm exact release dates, but given TechRadar's been asked to a briefing to talk about the Xperia range in January and an invite has been extended for Mobile World Congress to see multiple phones, we'd imagine two, if not all three, will be given UK release dates very soon.